Thanks to Collegiate Concepts, Inc. 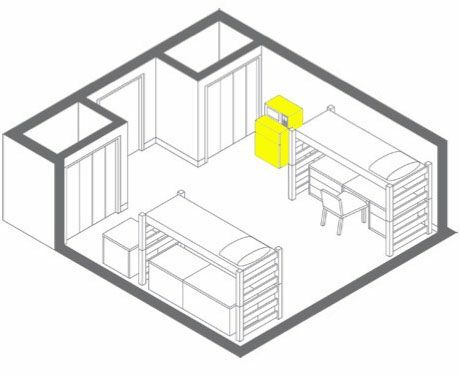 Depending on college restrictions, your Microfridge® could be set up and ready to go when you arrive on campus. We will have representatives available for you! 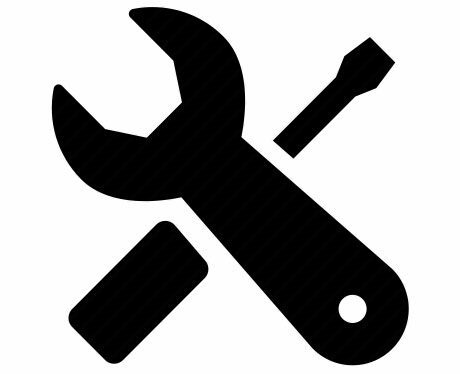 If you have any problems with your Microfridge® unit, we have qualified service people available to correct the issue. When you are done for the semester, or year, we are there to pick up the fridge for you! 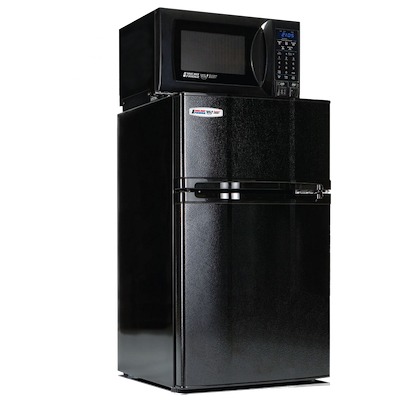 COLLEGIATE CONCEPTS, INC. is a Premier Master Distributor of the MicroFridge® with Safe Plug™ brand and product line. Exactly one year ago I was fairly uncertain about the events that would take place during the [next] school year. 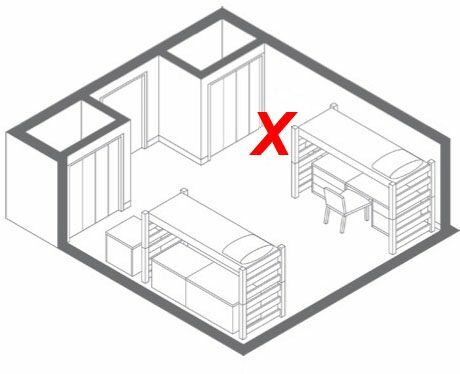 Many changes were posing a threat to our loft program including the Residence Hall's furniture renovation and decreasing available storage facilities. Forced to make some major changes for the future of our product line, I was very grateful to learn of Collegiate Concepts exceptional line of lofts. Since then, incorporating your loft program into our business has been very smooth and profitable. Students at Indiana University are very pleased with the sleek craftsmanship, stability, and space saving advantages of Collegiate Concepts' lofts. Similarly, Executive Directors within Residential Programs and Services feel confident in the safe alternative your lofts provide for on-campus living. Given the affordable price, ease of set-up, and compact storage, your lofts have helped put an end to a long tradition of pain and agony our business has come to expect with loft rentals. Additionally, Collegiate Concepts' quick response to our individual loft needs enabled us to get the correct sizes and convenient delivery times necessary for our program's success. I would like to offer our sincere gratitude for your commitment to providing excellent service to our business. You have helped us have a very successful year. As the Student Government at Clemson University, our main objective is to do everything we can to accommodate students and help with the freshman transition, while also promoting our organization. With each year that we have been with Collegiate Concepts, we have been more and more pleased with their efforts and cooperation, and their willingness to fit their program with our school's specific needs. We have been able to raise thousands of dollars for our organization, which directly benefits our student body, while also providing a great service to our students. We couldn't be more satisfied with the service we have received and the effort Collegiate Concepts has made to expand our programs as the need has arisen! 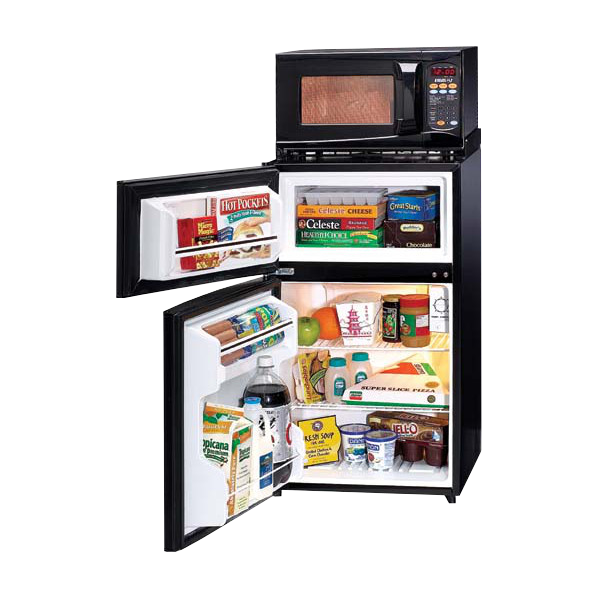 Clemson University has participated in the MicroFridge© with Safe Plug™ direct rental program for the past 11 years. This was our first year with Collegiate Concepts and we could not be happier. The logistics work done by Collegiate Concepts was outstanding. The deliveries were on time and the minimal number of student complaints received were handled in a professional, courteous, and timely manner. Mark Fredricksen and his staff are excellent to work with. I have no reservations about recommending Collegiate Concepts. We would like to take this opportunity to thank you for the service that you and your staff provide to our residents as they rent and/or purchase lofts from your company. The need to have access to lofts is great for our students and we have been pleased with the quality of the product and the responsiveness of your staff. We will again be renewing our contract with you for another year. We continue to hear great things from our students about the quality of the loft. The delivery process in August and the pick up process in May go very smoothly. I have especially appreciated the work of your Program Manager who works for you out of Racine. He puts the time and energy into working individually with students to ensure that their needs are met. He is flexible, accommodating, and represents your comapny well to the customer. We certainly recommend you to other campuses who are interested in securing a loft company that is responsive to the needs of the student and staff and can provide an outstanding product at a reasonable price. We look forward to working with you again next year. If you have any questions, don't hesitate to contact us.